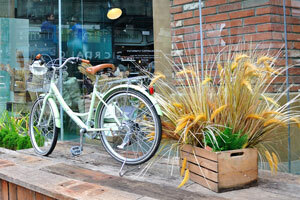 “Bicycle and ears of wheat” street sculpture. 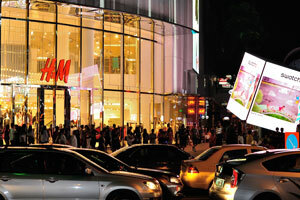 Road traffic at the entrance to the H&M chain retailer. 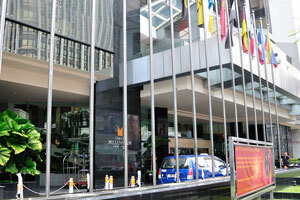 We are located on Jalan Bukit Bintang in front of the Babylon hotel. 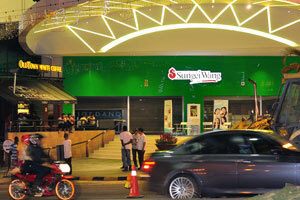 We are located on Jalan Bukit Bintang in the place which is not far from Bukit Bintang monorail station. 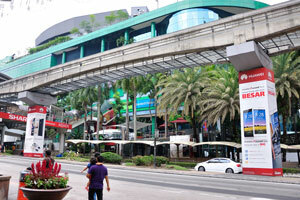 Black Lamborghini in front of Grand Millennium. 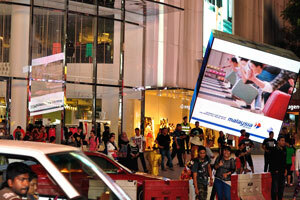 Street advertisement on Jalan Bukit Bintang. 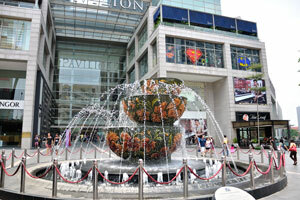 Fountain in front of Pavilion. 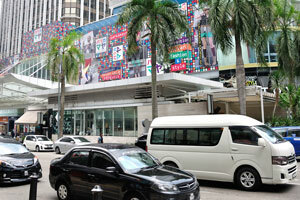 Sephora Duplex Flagship Store at Starhill Gallery. 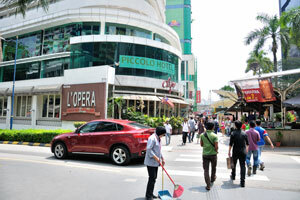 Jalan Bukit Bintang between Sephora and Pavilion. 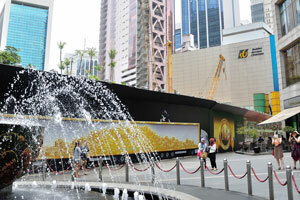 Small area with the fountain in front of Pavilion. 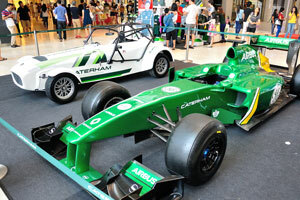 Racing cars at Bukit Bintang Entrance. 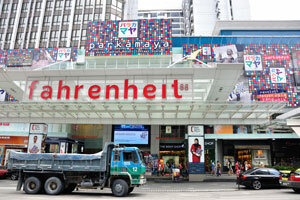 Main Centrum of the Pavilion Mall. 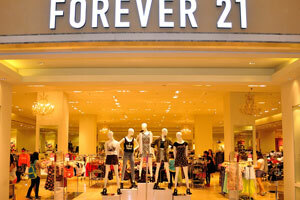 Forever 21 in Pavilion Mall. 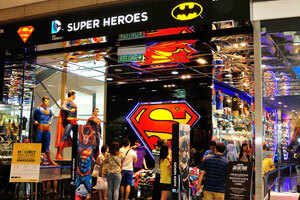 DC Comics Super Heroes in Pavilion Mall. 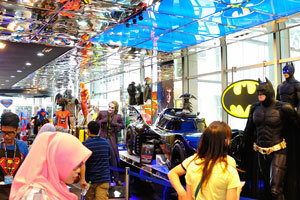 Batman in DC Comics Super Heroes. 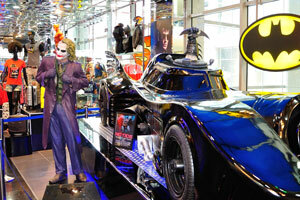 Joker in DC Comics Super Heroes. 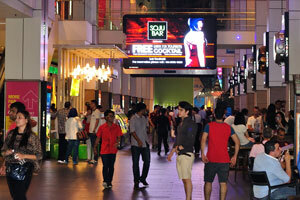 Bane in DC Comics Super Heroes. 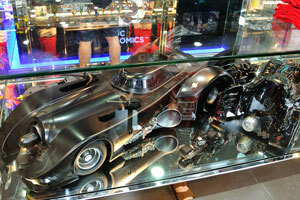 Batman car in DC Comics Super Heroes. 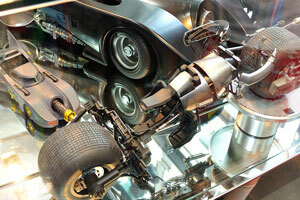 Batpod from “The Dark Knight” in DC Comics Super Heroes. 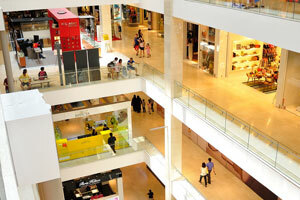 Several floors of Pavilion Mall. 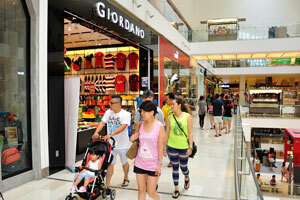 Glamorous japanese girls take part in the vigorous dance in Pavilion Pitstop. 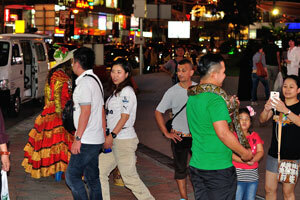 Pavilion's visitors are watching the dance. 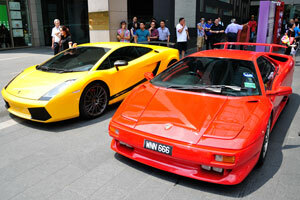 Red and yellow Lamborghini cars in front of Pavilion Mall. 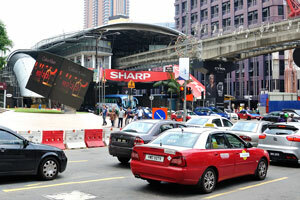 Vehicle registration plate of the red Lamborghini car reads: “WNN 666”. 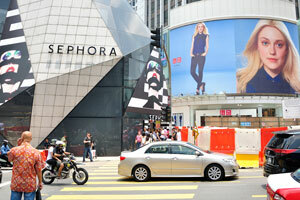 Girls want to be photographed with the white Lamborghini car. 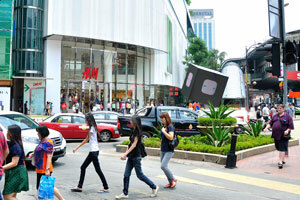 Vehicle registration plate of the yellow Lamborghini car reads: “LJ13AWR”. 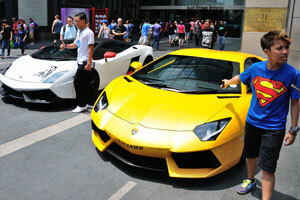 Malaysian mother with her child are posing next to the white Lamborghini car “GIMI 550”. 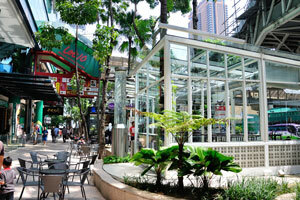 Yayasan Selangor is located next to the Bukit Bintang monorail station. 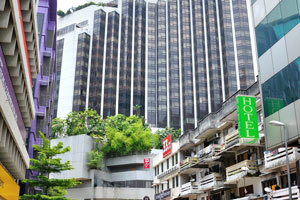 We are located on Jalan Sultan Ismail almost under the Bukit Bintang monorail station. 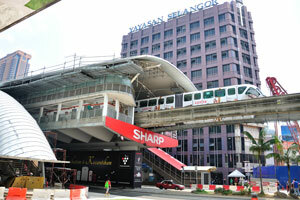 Monorail line is going along Jalan Sultan Ismail. 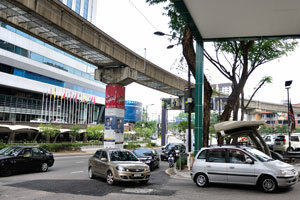 Turn of the monorail line from Jalan Sultan Ismail to Jalan Imbi. 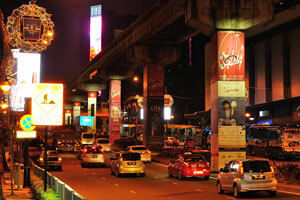 Night view of Jalan Sultan Ismail in the area of Bukit Bintang monorail station. 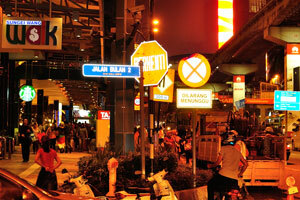 Street sign to Jalan Bulan 2. 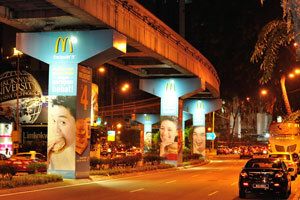 Bukit Bintang monorail station at night. 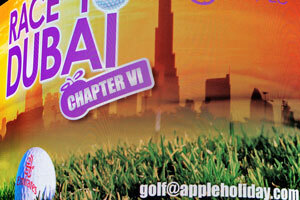 “Race to Dubai chapter VI” street advertisement. 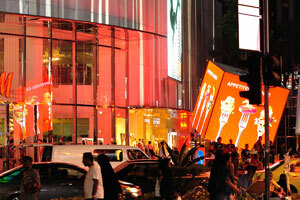 Bukit Bintang is the name of the shopping and entertainment district of Kuala Lumpur, Malaysia. 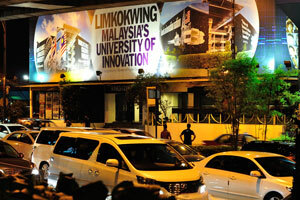 Limkokwing Malaysia's University of Innovation. 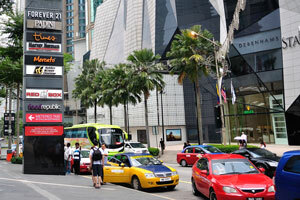 Matte red BMW car with the “WVK 2121” registration identifier. 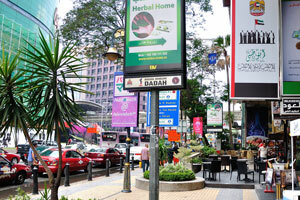 Bukit Bintang encompasses Jalan Bukit Bintang and its immediate surrounding areas. 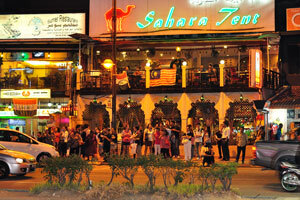 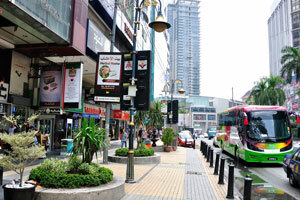 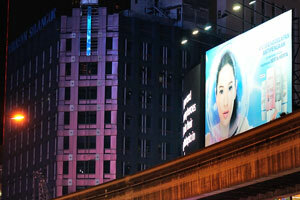 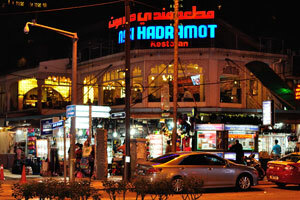 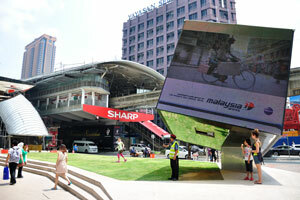 Bukit Bintang is a popular area among tourists and locals, especially among the youths. 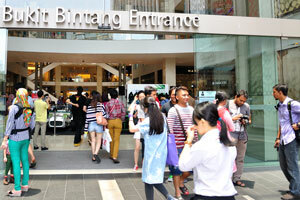 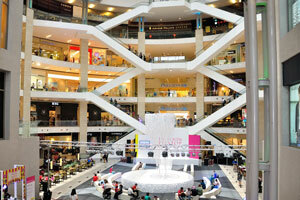 Bintang Walk has been transformed to one of the most trendy and hectic shopping clusters in the city. 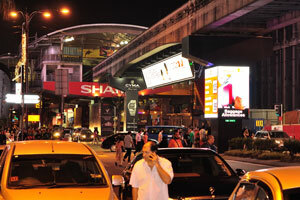 Bintang Walk is the most hectic and bustling place in KL. 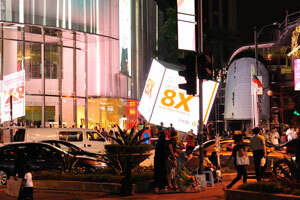 Tourists at the intersection of Jalan Bukit Bintang and Jalan Sultan Ismail streets. 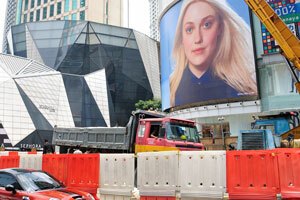 One of the street advertisements at the intersection of Jalan Bukit Bintang and Jalan Sultan Ismail roads.